FotoBiz® X is the most powerful, affordable and easy to use Business Software for Freelance Photographers available for your stock and assignment photography estimating and billing needs. It has fotoQuote® 6* built in and with multiple currency billing capabilities, fotoBiz allows you to expand your market reach. The program also includes photography sales tracking and license expiration management to help you stay on top of what images are making you money and when licenses are up for renewal. FotoBiz X is designed expressly for the freelance photographer. It is a carefully developed tool to help the independent one or two-person freelance photo business deal with the day-to-day business responsibilities that often get overlooked. Take a look at the fotoBiz X video for an overview of the many features available to you. 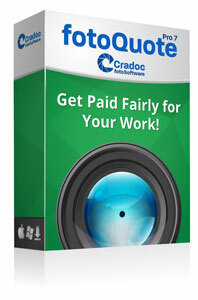 FotoBiz gives you the tools you need to get paid fairly and excel in your photography business. 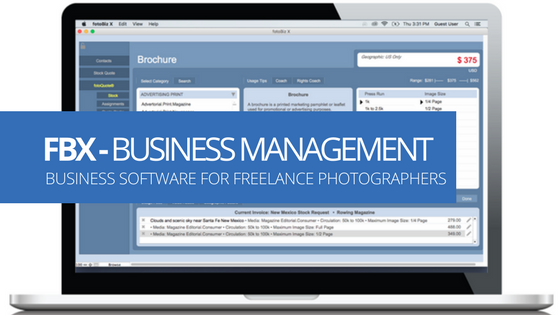 The Best Business Software for Freelance Photographers! Quickly and easily create stock photography quotes, assignment estimates, and invoices. The ability to duplicate stock photography quotes, assignment estimates or invoices and reassign them to a new customer, existing customer or the current client is a big time saver. FotoBiz takes just about everything you hate about the business end of your profession and DOES IT FOR YOU in a simple and elegant way. You look professional and responsible, even when you’re pressed for time. With fotoBiz X you are able to identify your home currency and bill in multiple currencies. There are 34 currencies to choose from. Because fotoBiz X handles the conversion to your home currency for you, your receivables will always reflect the true amount owed to you in your home currency. This ensures that all of your reporting is accurately portrayed in one currency. You need to get your paperwork done as quickly, accurately and professionally as possible so that you can get your assignment or stock submission to your client and then get paid. FotoBiz creates over 100 documents, forms, and reports. Email letter templates help you deal with contracts, submissions, late or lost images, collections, thank you notes and more. There are two contact databases built into fotoBiz X, one for the clients you are currently working with and one for the prospects you are cultivating. In both cases you’ll be able to see all the activity for that contact or prospect conveniently on one screen. Creating and saving templates for your job descriptions, licensing and terms and conditions is another fotoBiz time-saving feature. For licensing language you use often or descriptions of jobs you do regularly, create a template that can easily be applied to any new job that is similar. The way images are being licensed has changed. In the past, the license you built for your images applied to the entire submission and did not specify the details for individual images. This overall license fit the way photos were being used at the time and was the accepted model in the industry. The way photos are being used now has evolved and so has the need for more specific licensing. In fotoBiz you are able to have multiple licenses with varying expiration dates on one document. There are two ways to build your licensing language using the RightsWriter™, AutoBuild License and Manual License. When you select the AutoBuild license, the usage language is built for you automatically as you enter information about each of the images you’re licensing including any metadata about the image you wish to import. Even though you may have several licenses for one stock or assignment photography invoice, they are tracked for you individually. You no longer have to manage multiple licenses per invoice, which add up quickly, fotoBiz does it for you! In some cases, you may need to have the license apply to the entire stock quote, assignment estimate or invoice. Creating license templates with language you use often will save you time. When needed, you can edit the license template to customize it for your client without altering the main template. Tracking the sales of your images reveals the truth of what you do. 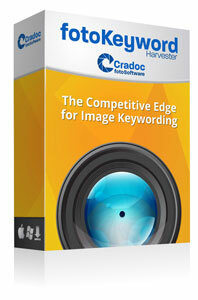 Knowing what types of images are making you money and which are not is valuable information. It helps you to better manage your time by letting you know where best to focus your resources. You are able to quickly see how many times an image has been licensed and to whom. When an image is assigned to a stock production, fotoBiz X will track the sales of all images from that shoot. This gives you a running profit/loss tally for each of the stock productions you do. Anytime you create a license that has an end date, fotoBiz will keep a record of it for you. With License Tracking youʼll be able to easily see at a glance what licenses are coming due for renewal. Then with a click of a button you can generate an email license renewal reminder for your customer. 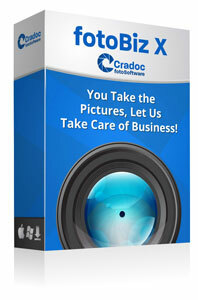 fotoBiz X comes with a sampling of photo-related products and includes recommended pricing for each. The products are grouped by category making your line item selection easy to find. Add your own products or edit the existing ones. Either way, you’ll be able to build a product catalog that is customized for your specific needs. In each of the Lists and Tracking sections in fotoBiz you are able to run a variety of reports. But perhaps the most important are the reports associated with your assignment and stock photography invoices. These reports are designed to give you meaningful feedback about the nature of your business. The report options have been expanded and in addition to running reports with customized date ranges, a number of preset date options are also included. A quick listing of your receivables with aging gives you an at-a-glance overview of your expected income. The difference between QuickBooks and fotoBiz is that fotoBiz is written specifically for the independent freelance photographer and as such handles your business and image management in ways that are specific to the industry. With fotoBiz, your invoicing includes language that protects your intellectual property rights, something a generic program like QuickBooks doesn’t do. While fotoBiz helps you to track and run many types of sales reports, it is not intended to be a bookkeeping program. FotoBiz X is designed to be used in conjunction with QuickBooks. You have the option to export a group of invoices (for example by invoice date) or to export individual invoice data. The export will create a file in an .iif format for import into the desktop version of QuickBooks. Because fotoBiz is designed for image makers, we suggest that you use these programs in tandem, using QuickBooks for your general bookkeeping and fotoBiz for the parts that Quickbooks left out. *While fotoBiz X comes with fotoQuote Pro 6 built-in, all new orders of fotoBiz X will include the latest standalone version of fotoQuote Pro 7 at no additional cost. Because we want to make sure you have access to the most current prices we are including the fotoQuote Pro 7 standalone for free. If you want to convert your quotes in fotoBiz X to invoices, you will need to continue to use the fotoQuote Pro 6 that is built-in to fotoBiz X. Using the fotoQuote Pro 7 standalone as a reference to make sure you are charging the most current price. Our photo price guide has valuable pricing and negotiation information you can use to increase your earning power, including video pricing. By studying the negotiating techniques outlined in the fotoQuote Coach, and applying the principles when you negotiate, you’ll discover you can earn much more than you thought possible for your photos. You won’t find this information anywhere else.